This was an 8 day ‘Patrol‘ in Bavaria and Austria! We met with hundreds of veterans on this ‘Patrol‘ and were welcomed by many dignitaries including Dr. Jörg Haider, Austrian political leader. Here is what one of our Members wrote after this “Patrol in Southern Germany and Austria“. the surface of how I feel. After a lifetime of studying Germany and its history, this almost felt like I was coming home after a lifetime away. Put yourself into this picture! After arriving at the brand new and ultra-modern Franz Josef Straus Airport outside München (Munich), we board our deluxe motor coach and set out south through the breathtakingly beautiful Alps of southern Bayern (Bavaria) and on through Österreich (Austria) to our hotel in Villach in the state of Kärnten in the south of Austria. After checking into our rooms, we’re greeted by 4 Kriegsmarine veterans for fellowship – and signing of autographs of course. 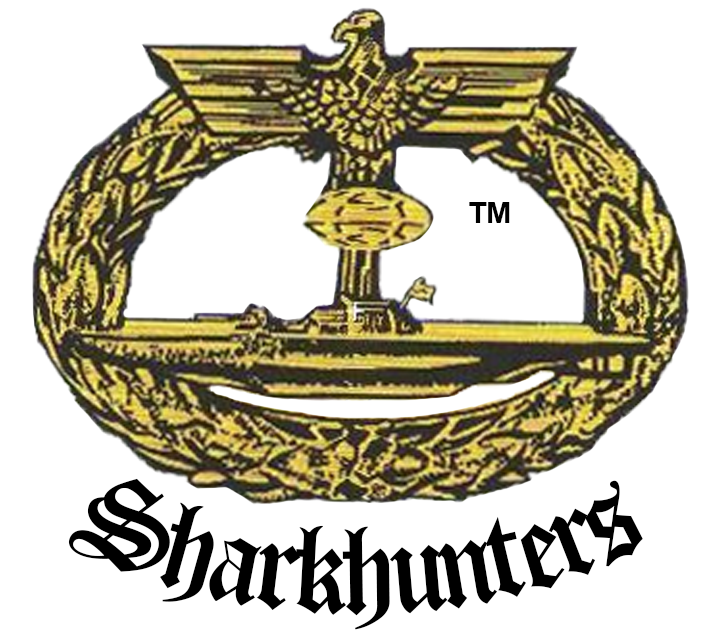 Herr Josef Tilly, a Sharkhunters Member since 1990, served aboard a schlactkreuzer, then on S-Boats and finally in a Marinekommando unit. Herr Josef Wieser was a crewman aboard U-172 for all war patrols under the late Carl Emmermann (Knights Cross with Oak Leaf) and Hermann Hoffmann, both Skippers also Sharkhunters Members. Our bus then took us to the massive medieval Landskron Castle, high on a mountaintop, where we enjoyed a magnificent dinner, overlooking the city and valley below. In the morning, we visited a very famous church on an island dating from 1687. People come here from hundreds of miles to either get married or to renew their vows of decades ago. Steve Shock said “The whole place is a post card!” and he is certainly correct. It is impossible to take a bad photo in Austria. For those wanting to take landscape photos – of a HUGE landscape, we went to the top of the ‘needle‘, the observation platform atop the telecommunications tower where we could see three countries! Look in one direction to Italy and in another direction to Slovenia. One only had to look all around and there was Austria. Our bus took us to the nearby airport where the Rescue Corps had their multi-million dollar search and rescue helicopter out for our inspection. The pilot told us all about the chopper, the mission and their training. They save many people on the ski slopes of Austria and surrounding areas. We had lunch there at the airport. Then it got interesting! We were specially invited guests of Austrian political leader Dr. Jörg Haider, member of Sharkhunters since 1990, in the Wappensalle. This is the formal room in the city building where political leaders are welcomed – even Adolf Hitler was here on many occasions in the past. Dr. Haider spent some time meeting with our group and naturally, stood for the photos of each of us. The afternoon was spent at leisure, mostly souvenir shopping, then the highlight of the day – we were the invited guests of Dr. Haider at dinner. The Vice Governor of Kärnten came over to chat with us and then Haider entered. As he walked to his table, right next to ours, he looked straight at us, smiled and waved. Later in his remarks, he recognized “his American friends” who were there. ULRICHSBERGFEST! This memorial service is many decades old and it is a thanksgiving for those who came back from both World wars and also a memorial to those who did not – from all countries. Our bus took us up the mountain in the early morning as the mists were rising in the valley below. We made the last hundred or so yards on foot to the ruined cathedral by the huge cross atop this mountain. The blending colors of the people in traditional garb, the uniforms of the many centuries of Austrian military – from medieval to present, the Austrian Army Band, the ladies in the traditional dresses selling ‘korn‘ for money to help maintain this eerily beautiful place all wove together into the patchwork of color that exploded on the mountaintop in the morning mists. As always, there was a beautiful ceremony, and our group was seated in the ‘Honors‘ section right by the Kriegsmarine veterans. “Der gute Kamerad” written by Ludwig Uhland. Here are the words, thanks to Peter Stockner. you’ll never find a better one. both the same in every step. A bullet came flying. is it my time or is it yours? meanwhile I am just loading. ‘Can’t lend my hand to you. The ladies selling “korn” on the mountain. We sat with dozens and dozen of veterans of the War. After the ceremony finished, we are invited as we are every year, to the farm of a Gebirgsjäger veteran for a very special lunch. Veterans from all branches of the Wehrmacht and other countries as well, all meet there for this very special time just once each year. The stories they have to tell are living history! One gentleman, Knights Cross at his throat, told the group of his experiences as a pilot of Me 109 and Me 110 fighter aircraft. Another, who was on Monte Casino, told how each time he would fire one bullet – 100 came back at him! It was pure history but all too soon, it was time for our departure. We said our goodbyes to new friends and boarded the bus for the ride to our hotel after a stop at a nice restaurant for coffee and refreshments with our good friends Eddie and Nora. We check into our hotel, the historic Hotel zum Türken, owned by our dear friend Ingrid Scharfenberg. This is the hotel where Hitler’s personal guard was stationed whenever he was on the mountain, as the hotel is less than 100 meters from where his home stood – and in the cellar, we have the tunnels and bunkers! Entrance to a hidden bunker??? both Me 109 and Me 110 fighters. We are at the farm. at the entrance to …we can’t tell you. system leading from Hitler’s ‘Berghof‘. Steve Riha really gets into bunkering! Naturally, there is much, much more on this ‘Patrol’, but this will give you an idea what a great time we had. Join Sharkhunters on future ‘Patrol’s. Don’t you owe it to yourself?